Mercedes C Class Coupe Interior, Sat Nav, Dashboard | What Car? 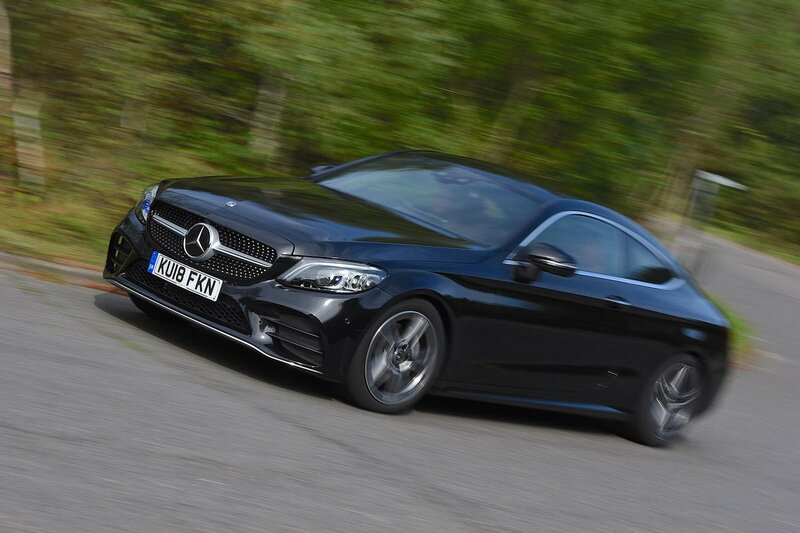 The C-Class Coupé gets deeper, more supportive front seats than the saloon version. All models get heated front seats with four-way lumbar support, part-electric adjustment and extendable thigh support. They are very comfortable, even on long journeys. 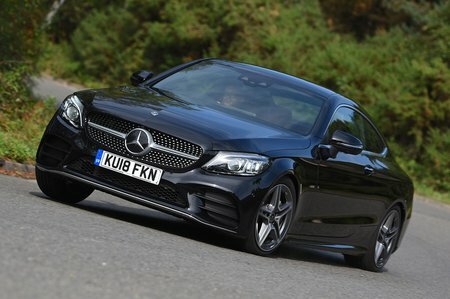 AMG cars get full electric seat adjustment, which is an affordable option on regular C-Class Coupes. The driving position is mostly good, too – even if the pedals are positioned a little further to the right than we'd ideally like. There’s decent forward visibility, and while the rear three-quarter view over your shoulder and through the narrow rear windscreen is restricted, this has to be expected in a coupé. All models get a 10.25in colour screen with rotary dial and touchpad controls. The whole setup looks great, but it can be tricky to use on the move because the operating system isn't as user-friendly as equivalent in the Audi A5 or BMW 4 Series. It gets easier with familiarity, though, and most of the control switches on the dashboard are where you’d expect them to be. The screen can be augmented with a 12.3in digital instrument cluster that replaces the standard instrument dials. Its graphics are sharp but it isn’t quite as configurable as Audi’s Virtual Cockpit equivalent. This screen is fitted as standard to the C63 and C63 S, but optional elsewhere in the range. Meanwhile, smartphone connectivity is an option on regular and C43 models, but standard on the two C63 variants. There’s a real aura of quality to the interior. A plush mix of leatherette (or soft nappa leather in the two C63 models), wood, metal and gloss plastic finishes combine to really live up to the prestige implied by the Mercedes badge. There are some areas lower down the interior where the car doesn’t feel quite as solidly put together as the Audi A5, though.